It’s no secret that construction sites can be extremely dangerous. In fact, construction work is considered one of the most dangerous jobs in the country and consistently ranks in the top 10 of the most dangerous industries. There are many reasons why construction workers face injury and even death every day. From heavy and complicated machinery to extreme heights, they must often work under extremely hazardous conditions. This is why it’s critical for construction companies and construction supervisors to follow safety rules and to ensure that the construction sites are safe. Unfortunately, this doesn’t always happen. If you are a construction worker who has been hurt on the job, it’s important to understand your legal rights. In many cases, construction workers who are hurt on the job have the option to file a workers’ compensation claim. Workers’ compensation laws vary from jurisdiction to jurisdiction, but they share the same basic principles. No Fault System – Generally, workers’ compensation is a no fault system, which means that injured workers are covered even if their own actions or negligence led to the accident in the first place. Unlike a personal injury case, the worker doesn’t have to prove that someone else’s negligence caused their injuries. This can be a source of peace of mind for a worker who is forced to take time off work or cover expensive medical bills. If a construction worker is killed in a work-related accident, workers’ compensation may also provide payments to the worker’s spouse and dependent family members. Companies Must Carry Workers’ Compensation Insurance – The majority of employers must carry workers’ compensation by law. In some states, employers have the option to self-insure, but they must still comply with the workers’ compensation requirements. However, there are exceptions, which is why it’s important for injured construction workers to speak with an experienced lawyer about their rights. Payments for Medical Expenses and Lost Wages – One of the leading sources of anxiety for injured workers is how they will cover their medical bills and lost wages. With workers’ compensation, a worker’s lost wages and medical bills are covered by workers’ compensation. However, there are limits to what workers’ compensation will cover, and the exact amount of coverage depends on the nature of the worker’s injuries. 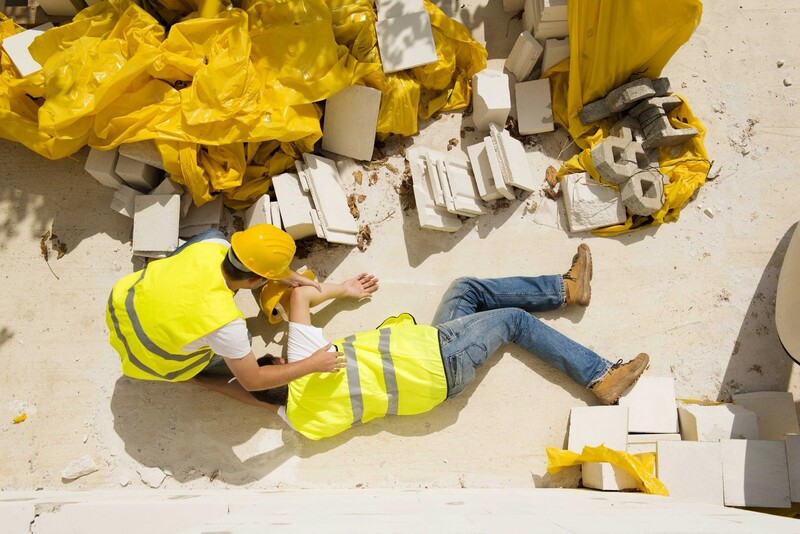 Can I File a Personal Injury Lawsuit for a Construction Accident? Ordinarily, filing a workers’ compensation claim means you lose the right to file a personal injury lawsuit for the same injuries. However, there are some circumstances in which an injured construction worker may be able to file a personal injury lawsuit in addition to filing a claim for workers’ compensation benefits. In most construction jobs, there are a number of third parties, such as subcontractors and vendors. These third parties take on a number of roles, from delivering goods, operating special machinery, or performing complicated or specialized tasks. There may also be third parties who contract to perform specific jobs, such as architecture and engineering. If one of these third parties does something negligent that leads to a construction worker’s injury, the worker may be able to bring a claim against the third party outside the workers’ compensation system. A Duty of Care – The construction worker must be able to show that a third party owed him or her a duty of care. Generally, the duty of care means the third party must have had an obligation to act in a reasonable way. A Breach of the Duty of Care – The construction worker must also be able to show that the third party failed to act in a reasonable way, constituting a breach of the duty of care. The Breach Caused the Injuries – Finally, the construction worker must be able to prove evidence that the third party’s breach of the duty of care caused the worker to suffer injuries. For example, if the third party breached his or her duty of care, but the construction worker wasn’t injured as a result, the worker doesn’t have a third party claim. Similarly, if the worker’s injuries were caused by something else besides the third party’s breach, the worker doesn’t have a claim against the third party. Construction accident injuries can be complicated, especially if there is a third party lawsuit involved. There are strict time limits for filing a claim, which is why it’s important for injured construction workers to act quickly to protect their rights. It’s a good idea to speak with an experienced personal injury lawyer about your claim.